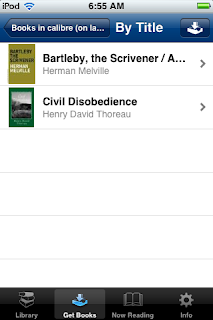 In this post, I'm going to expand a small piece that I had written in March entitled, What will be the iTunes of ebooks? (it's about what should be the platform for ebooks and why this decision is so very important). One of the reasons why librarians don't talk very much about ebook platform choice is because, by and large, we've already decided the matter. Libraries have made their choice, voted with their dollars and their energies, and have overwhelmingly selected Overdrive as our platform. Yes, we have outsourced ourselves with an ebook platform that betrays many of the values that the public admires us for in exchange for a user-experience that be described in any variation of the word horrific. I don't think it's too late to change our minds. In fact, I think there will come a day when we will have to change our minds. And that's because no platform can out-perform the Internet in terms of speed, participation, and innovation. And while is Amazon.com is very, very large, it will never contain all the reading material that you would like to read. Like many, many people, I do a tremendous amount of reading all day (emails, activity feeds, blog posts, news articles, and - uh - journal articles) and most of my reading is material is done online. Only a fraction of my reading is deep, slow reading - and only if I have enough strength to read in the 20 minutes immediately before bed. As I have said before, the web is my reading platform and Zotero is my library. But imagine this: instead of investing in Overdrive, what if libraries invested in Readbility instead? I use Readability myself. Most of the time I use it as just as a means to read long text on the screen in a less cluttered, more beautiful, more readable way. Sometimes I use Readability as a means to get long text pieces from the web into my Kindle DX. And sometimes I use it as a way to easily clean up and import documents into my Zotero library. Now, I understand that it's difficult to see where a library would interject itself between the reader, Readability, and the author and publisher. To be honest, I'm not sure about it myself but I think it's worth thinking about because we need to start thinking about the entire health of the publishing / reading ecosystem before the entire thing crashes and Amazon re-builds on its disrupted remains. I should say that I'm not entirely invested in Readability as our only hope. There are other options for corporation-agnostic personal libraries, like Calibre. The reader centric services of LibraryThing and Goodreads could develop into something more 'platform like' but it's more likely that a service like Readmill - with its open bookmarking and annotation services - is closer to what I hope could be the reading platform that a library could be proud to invest in. How could we build a digital Peoples Library? I had been planning to write this post earlier this week after I had provided some other posts for necessary context but I got the flu. The flu is the enemy of the perfect and ... oh who am I kidding the flu is going to be the enemy of the good here too... but... 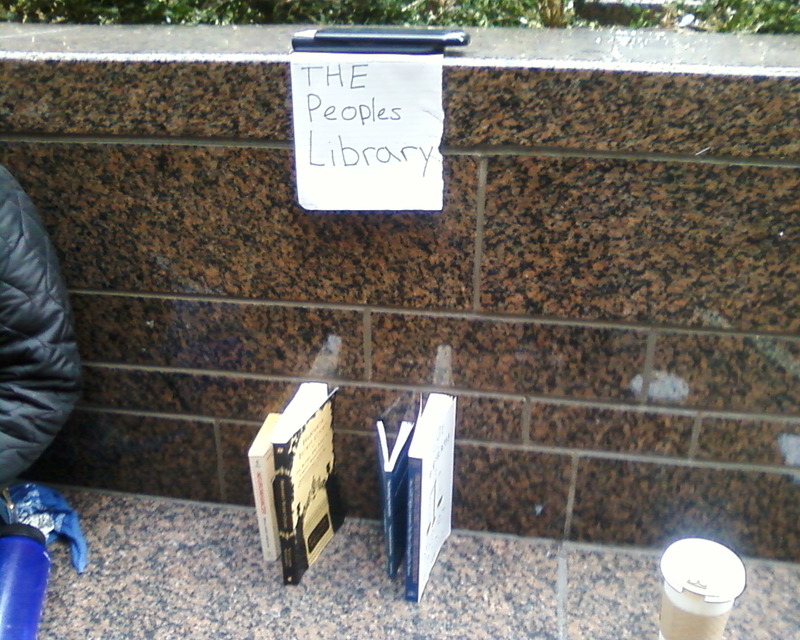 I just want to show this now - the day after the NYPD destroyed the People's Library of the Occupy Wall Street movement because today is the the day that they start thinking about how they want to rebuild. That is, if they can rebuild. That being said, I want to make it clear what follows isn't advice to the folks running The People's Library. Also, my forthcoming suggestion for the People's Platform for ebooks is suggested as only an augmentation of the library and not as a substitute for the whole. How can people build a digital Peoples' Library? The catalogue of the OWSLibrary is online but, of course, not the actual books themselves. That's entirely reasonable since only corporations and institutions (who generally act as weak brokers to corporations) are allowed to "share" ebooks. But I have an idea. It would be simple to set up and maintain. It would be legal. And, if extended, it could still dependent on a particular public space. My suggestion is to load the available EPUB versions of the books in the people's library into Calibre (and back up that laptop regularly off-site in case of violent attack). Now, if you use ebooks and you haven't heard of Calibre, you really should read this great introduction to software from Professor Hacker. Otherwise, here's the tl;dr summary: Calibre is an open-source corporation-agnostic platform of ebooks which allows the reader to add and correct metadata, tag and organise material, and allow the reader to convert ebooks from one format to another so they can enjoy ebooks that are exclusively sold to an e-reader that they don't own. Oh yeah, it also has it's own webserver, so it can act as a book-server that deliver texts through the web, through a network, and through email. Let me show you how could look like. For this thought experiment, instead of a 5,000 item library, I have used as an example of, um, , a short "Occupy" reading list of 8 books. Actually, of only two books because of the eight, only two are available as public domain EPUBs (the rest are candidates to be unglued). Regardless! I have put them into the Calibre on my laptop in a library called Occupy Time! Now, I turn on the web server function of Calibre that now serves up ebooks in this library to all those in my wifi network. On my mobile device (in this case, an iTouch), I am running Stanza that is able to look for available OPDS servers on my home wifi network, and using it, I can find said books from the Occupy Time library, download them into my own personal library. The bookserver standard that makes this all possible is The Open Publishing Distribution Standard and the folks largely responsible for it are from the Internet Archive. It's one of the key components of the their ebook lending work they do with a small group of public and academic libraries through the Open Library. There are e-readers other than Stanza that support OPDS and they include Aldiko, QuickReader, FBReader, and Ibis Reader. Now, I was hoping to get more into this but I'm still weak and only sleep can cure me. So let me end with this: Calibre is open source and the OPDS is an open standard. We just need to Occupy our Time so people can share a library --- that has a backup. I tend to share my viewing and reading recommendations passively through my delicious feed or actively through my Twitter feed, but today I’m going to make an exception. 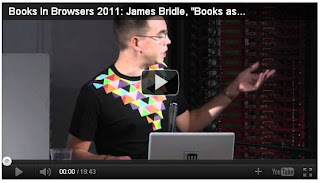 I think this talk by James Bridle of BookTwo does a very good job of revealing some important insights about the nature of book or specifically, on the natures of texts. It’s called Everything is the same only different and the link will take you to the video and a brief outline summary for those who don't want to commit the 20 minutes it takes to watch it. I won’t spoil it for you, but James gives the best response I’ve seen to the surprisingly common complaint that ebooks just don’t smell like regular books. One the reasons why I am fond of Bridle’s work is that his thinking isn’t outlandish and speculative; it’s grounded in the present and the past. When he starts speaking about the velocity of books (at the 5:25 mark), he begins by introducing the viewer to Penguin Specials - a series of shorter books grounded in the issues of the day. There has always been interest in having books available to help the reader make sense of the latest chaos that has descended on her world. And I heartily endorse Bridle’s assertion that it not that ebooks has reduced our capacity to read long texts - we have always have had difficulty finishing long books. It’s just that now, companies such as Amazon have the data gleaned from Kindles that backs up and betrays this once secret shame. While I can buy “This Changes Everything” for my library, I cannot buy Summer of Unrest: Kettled Youth for those trying to make sense of the UK students riots of 2010 and that is recommended by Bridle in his talk. At least I don’t think I can. But even if I’m able to buy a DRM-free copy that the publisher will let me lend of an unlimited number of times, where would I put my library’s copy of Summer of Unrest? Which brings me to a topic that I think has not been explored enough in libraryland: What will be the library’s platform for ebooks? The time to address this thorny question is fast approaching. The velocity of books requires it. The word is out: the kids can't search. This is something we librarians knew for a long time now. And we should know: librarians are experts at searching. That's what we tell ourselves. We're experts! As those who have read Malcolm Gladwell's Outliers know, expertise is understood to come from 10,000 hours of dedicated practice. And this is why I'm worried. You see, I remember what it was like to work in a library *just* before the explosion of use of the World Wide Web. I had the privilege of working at the Periodicals Desk at the Toronto Reference Library in 1997. In those days, we would have two or three librarians working the desk and that desk would regularly have line-ups sometimes up to twenty people deep. Now this is going to sound quaint and old-fashioned, but this was a time when you could develop a sense of a library's collection from working at a reference desk. A good reference librarian knew a library's treasures and the secrets it could bring up. Reference librarians were good and there were some among us who were maestros of reference work. And for most libraries, that time has passed. Over the last ten years, the traffic at our library's reference desk has dropped. Significantly. In the past academic year, the library staff of my place of work answered half the questions at our desks compared to the levels of 2003/2004. In spite of being surrounded by students working away on library computers, I have spent a four hour desk shift at my library and in that time only answered three questions. And this is why I am worried. I would like to make the case that not only our search expertise came from the practice of the reference desk, I believe that the resulting tenets of information literacy also came from this labour. Because librarians were exposed to the common problems across the disciplines, they were able to see patterns that could not be seen by individual teachers. It has always been clear to librarians that students don't have an innate ability to understand genre, that they lack knowledge of the scholarly publishing cycle, and that they don't understand the importance of language choice in search. Without the practice of regular searching, how will our expertise of search evolve? 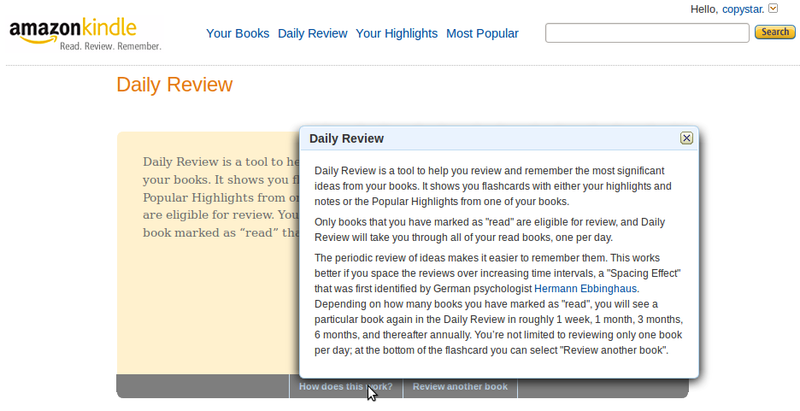 This lack of practice is one of the reasons why I think many librarians have outdated concepts of regarding searching. Boolean searching makes sense when it can used to create a result set that is manageable and comprehensible by a reader. But nowadays, when even the complicated nested boolean field searches using defined vocabulary still results in sets of the hundreds of thousands of records, then our strategies (and perhaps our tools) need to change. It's time we take the time to understand how relevancy is generated. When I started this post, I intended to end this piece with an argument that user-experience work could be seen as a possible extension of our practice to ground our work. The connection came early this morning as I read this post and recognized some of my own motivations in my current UX web work. Watching statistics behind the scenes of a website can be addictive. You don’t control them, directly, but you can endlessly tweak and investigate your data, experimenting with better and brighter strategies for luring visitors. Playing with a website like this is a kind of game, made all the more compelling by how much you care about the outcome. You want your site to thrive. You want its numbers to go on increasing, for ever—one of the most universal and powerful of all the dynamics involved in digital play. But, I'm personally dissatified with this line of thought. First, as important as it is to make accessible, understandable and useful library websites, reducing our communities to just clicks and pings in aggregate cannot be an end unto itself. It's just too dehumanising a practice -- which is one of the reasons why SEOs always seem so scummy. And I don't mean to be even more of a downer, but I'm afraid that even good user-experience work grounded in the values of librarianship is also under threat. Why? I am of the opinion that libraries' continuing enthusiam for propietiary library systems and discovery layers, mean that we are removing our ability to change, test, develop, and improve how relevancy is defined in our search tools. Why is this ability so important? Well, these propietary systems challenge some of our very values of our profession. Why is it even acceptable that EBSCO Discovery Service returns results from their databases first before the results sets of their commercial competitors? We would never allow this sort of promotional weighting in the print manifestation of these works - it would be unethical. So why do libraries invest in such services when alternatives that allow transparency and even the ability to change the relevancy of search results exist? Sadly, I think it's because the mechanics of how searching works has already fallen out of most of the librarian's practice and their understanding. The seed of this this post was planted sometime over the course of hours sometime this past this weekend as I was doing the physical labour of list making. I had given myself a challenge of creating a list of Massey Lectures in a format that could be reused by other librarians. By doing so, I created a list of almost fifty books using Evergreen, Bibliocommons, Amazon, RefWorks, Zotero, the Open Library, and a text editor. I probably spent too time on this particular project but when I finally finished this work, I found that had a much stronger understanding of about these services and could feel their relative strengths and weaknesses. The work itself taught me. I finished that project this Monday. On Tuesday, yesterday, I met up with a faculty member in the History Department who asked me questions about how best to present the work of over 1500 citations on a web site. I am getting more of these types of questions. Other librarian colleagues are now meeting and working with faculty who are suddenly recognising that preparing, preserving, organizing, and presenting collections and other digital work requires a professional understanding that they lack. Sometimes when you tell a person that you are a librarian, they respond in a very odd way. They say, "wow, I'd love to read books all day". I used to think (but never say) "what a stupid comment" but now I don't think that comment is quite so dumb anymore. I think that the people who say such things just think that the way to understand a library is through the reading of books. Of course, that's not how a librarian makes sense of a library. But there is a truth in what's being said: the librarian makes sense of the collection by interacting with it. With fewer and fewer questions being asked at desks, how are librarians going to make sense of our collections now? The future of our profession very well might depend on the answer. About a month ago, we did a soft launch of our new A to Z list of indexes that we put together using Drupal 7. When we re-built this page, we had two specific design goals: the first was improve statistics collection and the second was to make our licensed resources easier to share among faculty, staff and students. And it ended up that our our two design criteria were both addressed by the same solution: to use URL shortening software that would embed cumbersome ez-proxy information while also tracking clicks on these new easy to share links. But what was surprising to me was how many hits were 'direct' hits. If fact, almost 1 in 10 click were done without coming from the A to Z list at all. 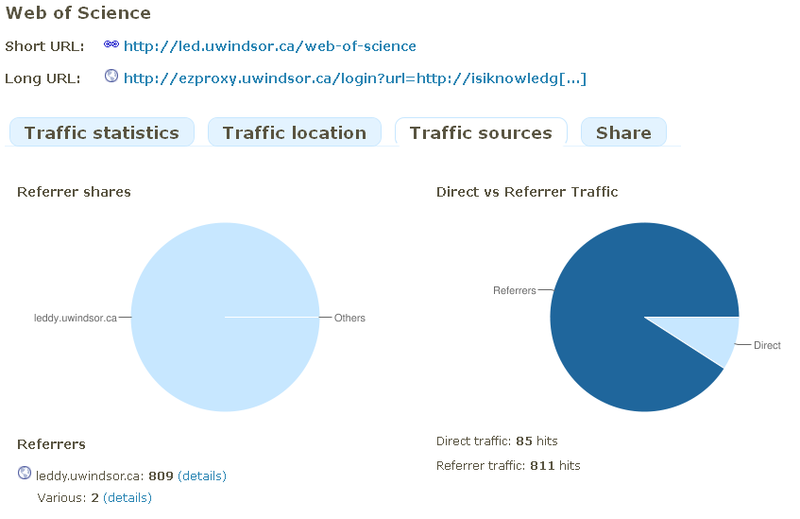 It's particularly odd because you can't easily bookmark the link in question led.uwindsor.ca/web-of-science (although you can bookmark http://leddy.uwindsor.ca/web-of-knowledge ... but no one has seems to have done so yet). I've been trying to figure out what's happening here and I *think* that some folks are now accessing databases by typing its name into the URL field aka The Awesome Bar. If that's right, that was completely unexpected and totally cool. Right now, these short urls are only available on our A to Z page and in some of 'library news' items that come from our blog which are re-transmitted to the library's Twitter and Facebook accounts. While no where obsessed as much as a SEO, I have been keeping an eye about how our little promos have been received by our campus community. I don't have enough information to do any sort of generalization at the this point, but I can tell you that last week's campaign to promote our Cochrane Collections were pretty much a bust while our Reading List for Future Journalists was much better received, being retweeted a couple of times to over 700 potential readers in addition to our own existing 280 Twitter followers and 900 or so folks who "like" us on Facebook. "Likes", however, don't mean that they've opted to read the updates. According to Facebook, the reading list gained over 300 "impressions" while our "Evidence based reviews: trials, error and the God-complex" received about half those views. Now, making up book lists is much more time consuming than it seems it should be. I should know. This week, in honour of the 50th Anniversary of the Massey Lectures, I thought I would create a blog post promoting our library's available Massey Lectures in a way that could be re-used by other librarians and other readers for their own use. I've have been a fan of the Massey Lectures for some years now and some of its books in its series have been influential to my own thinking. This is why my first list of Massey Lectures was started on Amazon.ca in 2007. And so I thought I would take this opportunity to create not just a shopping list - but reading lists promoting the Massey Lectures. To start off, this weekend I made a list for my local library using Bibliocommons. 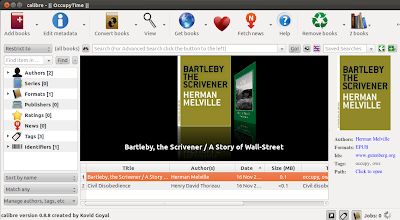 My own library makes use of the Evergreen OPAC and it allows users to easily add items into 'book-bags' that can be made for public viewing, generate an RSS feed, and can be exported into RefWorks. And just for kicks, after creating my collection of Massey Lectures, I exported my RefWorks collection to create this public Zotero library. I mean, just think of how many libraries are out there and how many hours are spent having to cull together the same raw materials for lists like the Massey Lectures or annual award winners. Or more sobering, how many lists are not created and shared with our communities because they take too long to make. We could do better! So I have been slowly working through this particular list of Massey Lectures on the Open Library. Unfortunately, Open Library's ability to export lists as HTML, JSON, and BibTex isn't functioning properly at the moment. So I've created this text file of Massey Lectures names, with links to cover images to the corresponding sections on the CBC Massey Lectures website. Trust me, it will save you a lot time if you are so inclined to make a blog post similar to like the one that I just published on the Leddy Library New Blog. And even though the list export function isn't likely to be fixed by the time that Adam Gopnik reads his first Massey Lecture tonight at 9pm on Radio One, I'm still going to work on my Open Library Massey Lectures list. I have come to really enjoy working on it during the moments when I'm too tired to move and too tired to read. I add descriptions to these books, add tags, clean up author entries and add cover images. And it's very gratifying work. The cover of Inscape and Landscape that I scanned and added last week already appears in our own library catalogue and presumably in every Evergreen library catalogue that opts to use Open Library as a source for cover images. And all the detailed records I'm creating in Open Library may one day also be found in many Evergreen library catalogues -- and maybe even in Koha ones too. I would be very happy if someone ends re-using any one of the lists mentioned above. I'd be delighted if someone is inspired to make a similar list on a completely different topic. Sometimes I think that the possibility of surprise and delight is a great measure of what work is worth doing. In one day, two things happened that fundamentally changed the way how I use my public library. It surprised me - maybe it will surprise you too. It was a Saturday afternoon in July when I took my five year old son and my three year old daughter to the main branch of my public library. We do this on a fairly regular basis. But what changed that day was this: my five year old son decided that he was no longer interested in the toys kept in the children's section. He walked in, surveyed the available toys, thought a moment, and then he demanded that we go home immediately. I can't say I blame him. He's an active five year old and the only book that he will curl up and pour over on his on accord is his Lego Star Wars Dictionary. It doesn't occur to him to go to a library to *read* as reading is for bedtime and sunlight should be spent playing. We have been going to the library for years and I have never seen him do anything but ignore the bookshelves. So maybe it's my fault that I did not force him to find his own books from the shelves and that my ability to find awesome books for him has led to learned helplessness on his part. But I don't think so. Bookshelves that are crammed with thin picture books are really difficult to browse through - even for an adult, much less a four year old. And as someone has flipped through a lot of kids books, I can say that many of them are very uninspiring. Of course there are gems in there but they take some work to suss them out. And the only reason I have been able to spend the time flipping through the picture books at all is because there there are toys in the library. The kids can play and mostly stay still while I can find books - at least books in the immediate area. At the central branch of my public library, the chapter books are in the next bay and the children's non-fiction books are in the next bay after that. And the adults books require an escalator ride upstairs. Which leads me to my second epiphany. That same trip to the library was the first one in which I actively used the WPL mobile app while at the library. And it fundamentally changed my library experience. As my daughter was playing, she looked up at me and asked if we could borrow some 'Dora' books. 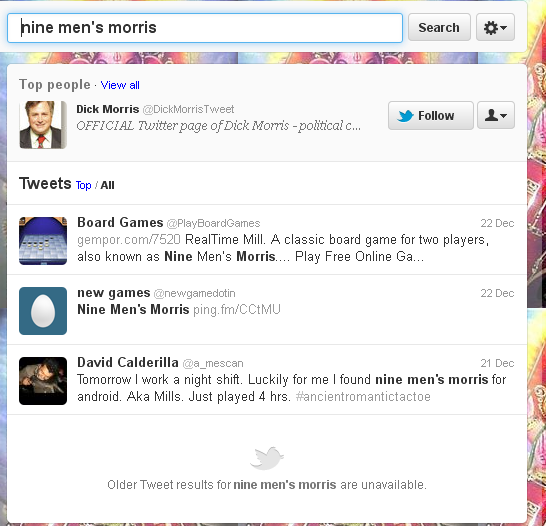 So, I pulled out my iTouch, logged in and searched to see if there was any available. There wasn't, but I could hold the screen up to my daughter to ask her which one's she would like me to place a hold on. It is ridiculously easy to do this with the Bibliocommons app. Forgive me for saying this, but since that moment, I can't help but feel that it is too much bother for me to drag a bag full of books and two kids (one protesting madly that she still wants to play in the library and other demanding we go home now) all around the first floor and upstairs to get books. Luckily, I don't have to. My public library allows me to place holds on books (including those that are even on the shelf at any branch) and doing so means that they can collect my books for me to pick up at the checkout desk in one fell swoop. And do I miss the serendipity of browsing the shelves? No. Nope. No way. If you are an active public library user, then you already know the truth about browsing the shelves: books you really want to read are never in the library - they are being read. Since that day in July, I've use the library more than ever. I use Bibliocommon's many lists dedicated to children's literature to find great books to read to our five year old (right now we are reading The Phantom Tollbooth). Every two weeks, I place a bunch of books on hold, and three or so days later I run into the library, pick them up, run out and then go pick up my daughter at her daycare just down the street. We don't go to the library anymore. It is only now that I completely understand why public library gaming events are so important. How else are we going to draw young people into these spaces (or to rephrase this: into their spaces)? With the promise of shelf-browsing? Of reading in public? Really? I mean, I'm an academic librarian and I'm now actively avoiding browsing the shelves. And now I have to figure out how to deal with the disconnect with the services that our public library delivers and the unsaid understanding in academic librarianship that learning how to shelf-browse is some sort of essential skill for later life. They say that the best time to plant a tree is twenty years ago. The second best time is now. I didn't learn how to code twenty years ago, but I am doing the next best thing. I thought I would share with you my progress so far in case you wanted to get a jump on your own twenty year deadline. I think it's especially important to share this sort of personal experience because while there are many, many resources and many helpful folks out there to help you grok, the sheer enormity of what's available out there can make it difficult to get started. Maybe my coping strategies might work for you. About a year ago, I made one of the best investments in learning more about computing and the web: I signed up for web hosting at Dreamhost. Now compared to the cost of an iPad or fancy laptop, Dreamhost's price of $9 a month is cheap as chips. But as hosting plans go, $9 a month is actually deemed expensive as some other companies offer hosting services that are closer to $9 a year. I am flogging web hosting as your computer learning platform for a number of reasons. First, I am one of many who believe that WordPress is the gateway drug to programming. It doesn't matter if you don't want to be another under-appreciated blogger in the world. You can create a WordPress site just to document your learning process... because if it's one thing I learned about computer culture, they appreciate the recursive. Now, you don't actually *need* to look at the raw code that runs a WordPress site, but one of the very nice things about Wordpress is that its lid, so to speak, can be popped off easily enough for one to look in and poke around. You should try it. Before you know it, you might be hacking PHP just so you can use a fancier theme, for say, your personal or professional portfolio. Web hosting that allows for SSH - otherwise known as secure shell access - means that you don't need to buy a new computer or partition your existing to start learning how to do command line computing and scripting. I've been trying to improve my own bash skills and I've found this series of free videos from Lullabot a great help. The reward of getting comfortable at the command line is that you find yourself being to install some really cool web services for your own devices. I've installed ThinkUp to archive my tweets and FB updates and will hopefully installing Yourls so I run my own URL shortener. Later, I hope to have my own copy of Ushahidi installed for mapping fun. It's funny - when I started writing this post, I was feeling really good about myself because I thought I had figured something tricky out. I have since realised that my celebration was premature and the nut before me remains uncracked. Sigh. More disorientation and frustration and screaming WHY U NO WORK at my computer. But there's no point wishing I had done this twenty years earlier.